RD Armstrong, a self styled Road Scholar, reluctant gypsy and vagabond, has spent many of his years on the “coast route”, choosing, whenever possible, to get from point A to point B via car and/or truck. In the case of all three poems, the vehicle was an ‘88 Nissan Sentra. Raindog, as he is known to his friends, is a man, driven. Not only does he seek the knowledge of things (the mechanics of how things work), but he also seeks to understand his purpose (if any) in the grand scheme of things. Raindog feels he has a calling to fulfill…he just can’t seem to decipher what it is; and the gods are always busy when he turns to them for a clue. He has labored in the trenches of the Alternative Small Press since 1996, both as editor/publisher of The Lummox Journal and as publisher of the Little Red Book series with nearly sixty titles by some of the ASP’s best/least known poets. In the Lummox Journal’s one hundred and twelve issues, he interviewed nearly one hundred poets, writers and artists, always with the emphasis on their creative process. Although he has been writing off and on since 1968, his most prolific period began in 1993. Since then he has written poetry, short-fiction and essays. A collection of his best poems appears in Fire and Rain, a two volume set, published by Lummox Press. 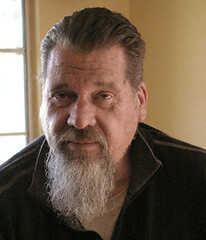 RD Armstrong’s books include PEDRO BLUE (Vinegar Hill Press), Paper Heart (Lummox Press), In Memoriam (The Inevitable Press), The San Pedro Poems (Lummox Press), RoadKill (12 Gauge Press), Last Call: the Legacy of Charles Bukowski and The Hunger (both by Lummox Press). His poems have been published in over one hundred small press magazines and in over sixty websites. Visit www.lummoxpress.com for a complete picture of RD’s empire.